Discover everything there is to know about The LEGO Batman Movie with this exciting guide to its key events and characters! 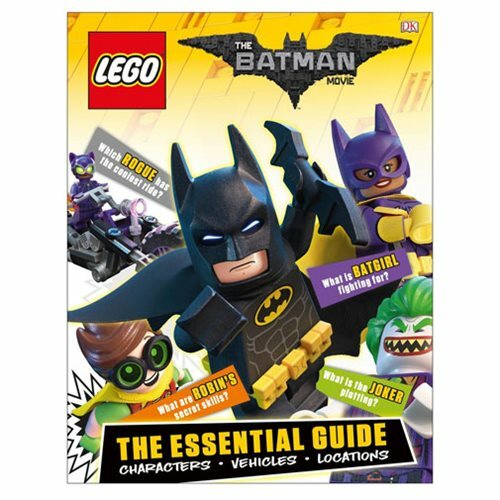 The perfect companion to LEGO Batman's first solo movie, The LEGO Batman Movie: The Essential Guide Hardcover Book showcases the full range of exciting LEGO Batman sets and mini-figures that tie in with the film's release. Heroes, villains, vehicles, and locations are all explored in classic DK style, with lively and informative nonfiction text to annotate and expand upon lavish reference images of sets and scenes from the movie. The 64-page hardcover book measures approximately 10 2/5-inches tall x 8-inches wide. Ages 3 and up.